LifeShare offers resources that connect people to a loving heavenly Father in everyday life. We are thrilled to spotlight JESUS saving and healing souls for heaven, the Holy City. This idea was birthed in the heart of Ted Thevaos, who serves as lead pastor of LifeShare Church in San Antonio, Texas. Ted has always been moved and inspired by a simple story of God's love expressed in his life and others. Over the years, storytelling that spotlights JESUS healing and saving souls has been a hallmark of his messages to believers and even unchurched people he meets on the street. He still remembers the time a young man approached him and said, "I can't remember much of the theological stuff you say, but your stories always stick with me." JESUS IN US = VICTORY! Telling a simple true story of what JESUS did through his life, death, and resurrection, coupled with how it changed your life, will cause others to overcome as well. There is power in the Cross of Jesus Christ, where he shared his life for our healing and forgiveness. Satan, God's enemy and your enemy, would love to destroy your life, but God's got something better for you. He has fullness of life to give you, if you'll only reach out and receive it. Today is a day of salvation! 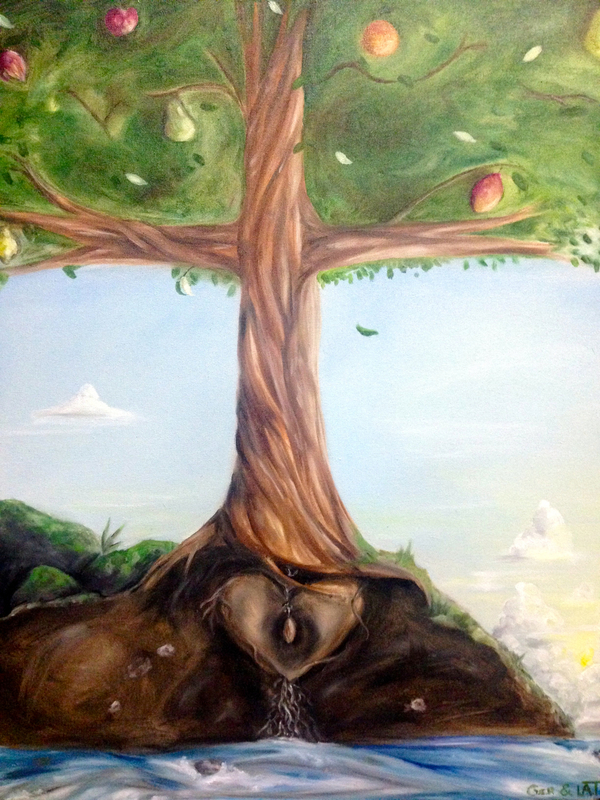 The picture of the Tree of Life here was painted by Laura Thevaos, Ted and Anna's 16 year old daughter. It sums up what a relationship with JESUS looks like. This tree is described in the Bible starting in the Garden of Eden and then it reappears in Heaven. For more information about God's love expressed through JESUS, read about the Tree of Life. So by now, I'm sure you've got our name figured out. It's all about sharing our lives with others. Sharing our JESUS story with those we know and love and even strangers on the street. We've been blessed to be healed and saved for God's glory and our good. How could we keep it to ourselves! We've been called by God to prepare our generation for Heaven, the Holy City. Jesus is coming soon and he's bringing his reward with him!